Despite his immense talent with a paint brush, Claude Monet clearly had a similar love and talent for gardening. Even after the artist's garden grew too large for him to maintain himself he still took pride in personally seeing to its architecture and planning. Monet painted his famous Lily Pond in 1899 after a substantial amount of moving around France by himself and with his family. They moved from Vétheuil to Poissy to Vernon, before eventually settling in Giverny. It was here that Monet found the picturesque inspiration that would consume his career until his eventual death. Giverny is a commune of the Eure department in the north of France and is located on the banks of the river Seine and the impressive natural display and grounds provided the artist with a wealth of inspiration. 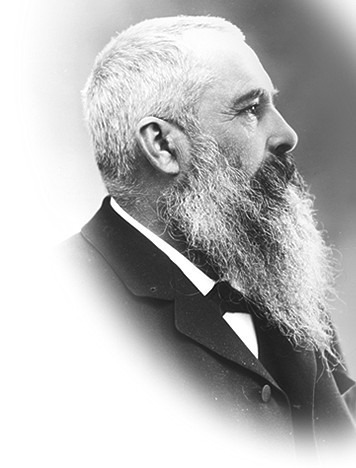 Approaching the peak of his success and subsequent wealth as an artist, Monet purchased property and land in the town of Giverny and set about constructing a garden, on which which Lily Pond is based. Monet's land also consisted of a barn which served as a primary painting studio and a greenhouse which served as a secondary studio. 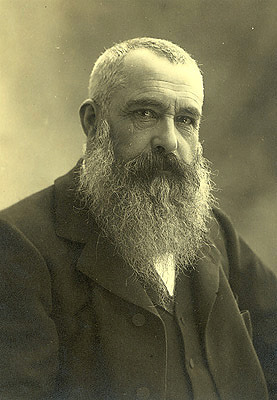 Monet sought to create a series of paintings based on various scenes around his property in Giverny. He would name this series 'Grandes decorations' and it comprised of hundreds of meters of canvas, over a hundred large oil studies and more than forty works. Lily Pond captures perhaps the most picturesque aspect of his garden, the Japanese bridge which sits above a pond of water lilies. The scene is painted bathed in natural sunlight on presumably a summer's day, with the lily pads so dense that it appears as though there's little water there at all. The scene is perhaps the most iconic part of his immense garden and many other Impressionists were regularly found on his property in Giverny, taking advantage of the picturesque surroundings. Monet's work were heavily influenced by his exposure to Japanese art, specifically wood block prints. This may have inspired him to install the iconic Japanese bridge that overshadows his water lilies. Monet's love of Japanese art began in 1871 when he noticed a Japanese print being used as wrapping paper in a shop. It is rumored that he was so taken with the design that he purchased it and many others over subsequent years. 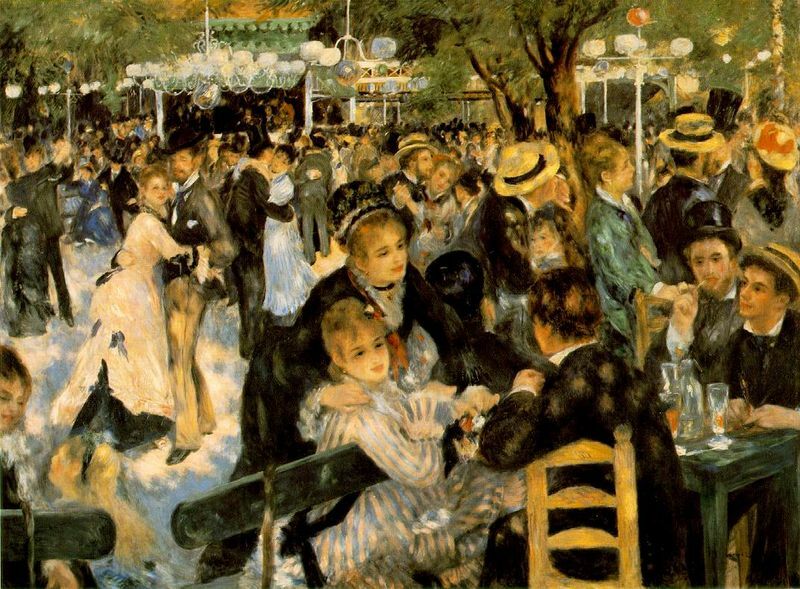 Many critics now believe that that purchase is responsible for changing the face of art for the years that Monet and Impressionism dominated the art world. The majority of Monet's influence in this regard stemmed from the best ukiyo-e, which were recommended to him by friends as the artist himself never visited Japan. 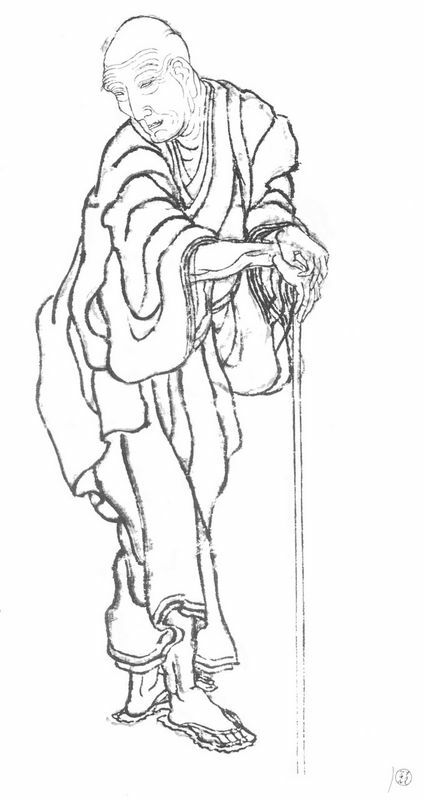 His primary loves were from masters of the tradition and included such greats as Utagawa Hiroshige, Katsushika Hokusai and Kitagawa Utamaro. The subjects of many of these works were noticeably different to Monet's own pieces and comprised of "images of the floating world". Many of these were of geishas, Kabuki actors and pleasure houses, but despite the difference Monet still appreciated their style. Monet began to paint the remainder of the Grandes decorations in 1914 and 1915 despite the outbreak of the First World War and the gradual lessening of materials and manpower. 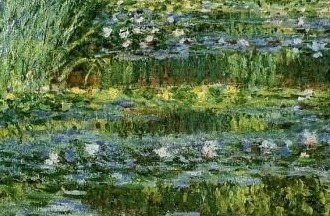 Lily Pond is one part Monet's giant mural that he donated to France after his death. Modern day critic Virginia Spate notes that such a turn in artistic style was in order to further thrust France once more into contention for being a major art producing nation. The actual pond which the famous painting is based on was bequeathed by Monet's son Michel to the French Academy of Fine Arts in 1966. The house and garden were officially opened to visitors in 1980. Today it and the house sit as one of the principle attractions in Giverny. A photograph of part of Monet's famous water lily pond in Giverny. 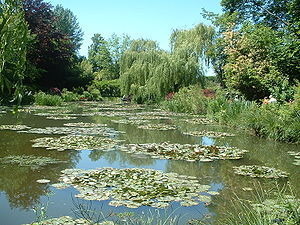 Giverny is the location that provides the scene and the inspiration for Claude Monet's famous work. Monet seemed to move around a great deal before finally settling himself and his family in the remote location in Upper Normandy. It would be the place where he spent the rest of his personal and professional life. The huge property housed several favorite spots in which he liked to observe and depict nature in its full beauty. The property itself was purchased by Monet when he was financially secure and the sale of his works was reaching its peak. It is believed that Monet's first exposure to Japanese prints was purely coincidental, but had an immense impact on the direction of his work. Monet's love of such works coincided with major political changes in Japan at the time. Rampant isolationism gave way to a more relaxed political stance under new Japanese Emperor, Meiji, in the 1870s. 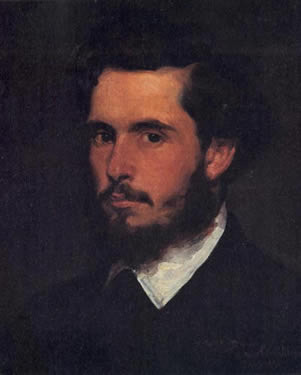 The new outlook meant a flood of Japanese art into the Western market and Monet's eventual exposure. Its influence was said to be compounded by the fact that as the leader of Impressionism, Monet's artistic loves and tendencies influenced the rest of the Impressionists. 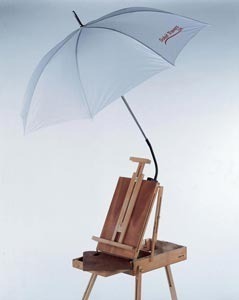 Monet went on the collect a massive 231 prints which currently reside in his home in Giverny. The painting style which Monet first fell in love with in his formative years is on full display in his Lily Pond. All of his paintings which comprise of the Grandes decorations series are painted in Monet's en plein air style and the purpose of such a style is to paint the effects of natural light on objects. The water lilies in Monet's work show many objects in close proximity to each other and provide an excellent scene for such a study. Monet's use of color ties in directly with his use of lighting. His bright summer's day is imposed upon by nature and this is represented by the rich shades of green he utilizes throughout the piece. Monet actualizes three layers of green to truly emphasize the presence of this natural hue. The greens used in the bush to the side of the bridge are mimicked in the bridge itself, while darker versions of the color can be seen in the mesh of trees behind the bridge. In employing such a wealth of color Monet is representing the harmony between the nature around him and the man-made presence of the bridge itself. Through his use of color Monet is placing heavy emphasis on the use of lighting and how it can change the very nature of things. The artist's most vibrant use of color is in his depiction of the water that comprises his pond and the water lilies that sit atop it. The actual water lilies in the title of Monet's work lend a measure of vibrancy in terms of colors used. Monet's Impressionist brush stroke depicts plants which are subtle shades of pink, yellow and orange. The subtlety of the colors blend together in almost perfect harmony and their presence draws the viewers gaze to the furthest point that the lilies extend to. 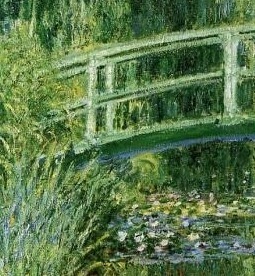 In Lily Pond, Monet's focus isn't on the source of the natural light but its affect on the water and most noticeably the scene's Japanese bridge. The bridge itself is an indication of the time of day as only half of its right side reflects the blue sky that shines through the copse of trees. The rest of the bridge is blanketed in a natural forest green, which casts a shadow over the majority of the bridge. Monet would later paint images of this same scene, in which natural light would illuminate the entirety of the construction. Lily Pond is a good example of the employment of the Impressionist style brush stroke. Monet seems to use both upwards stokes to portray the trees on the left and a mixture of rapid dots to depict the trees in the middle. His use of lighting and brush stroke create a cloudy effect for the trees, which makes them a framed solid substitute for the visible absence of the sky. Monet's The Lily Pond completion came at a time when Monet's reputation as a great painter had already been fully established. The days of criticism against him and the rest of the Impressionist which suggested that their work was rushed and unfinished had faded into anecdotes. As part of the Grandes decorations, Monet's work was part of a major national exhibition that was meant to reestablish France as a major art producing nation. In Claude Monet, his contemporaries were placing the artistic pride of a nation. Many of Monet's contemporaries believed that the artist was a purely visceral painter and was solely consumed with portraying what he saw with no other hidden meaning or deeper themes. Some of Monet's early day deriders noted that his visual painting was "dumb" because it was solely concerned with this visual aspect. Many modern day critics however, such as Virginia Spate, believe that Monet's work is a great deal deeper than it first seems and that it was driven by political as well as artistic aims. Monet's construction of the Grandes decorations certainly goes some way in supporting this theory. In addition to this it is now widely believed that Monet's en plein air inspiration is not as truthful as it first seemed. Spate and many other critics perceive Monet's claim that he painted all of such works till their completion as untruthful. Lily Pond and most of the Grande decorations due to their scale were most likely painted in the same manner. Starting outside and then finished inside at Monet's leisure. 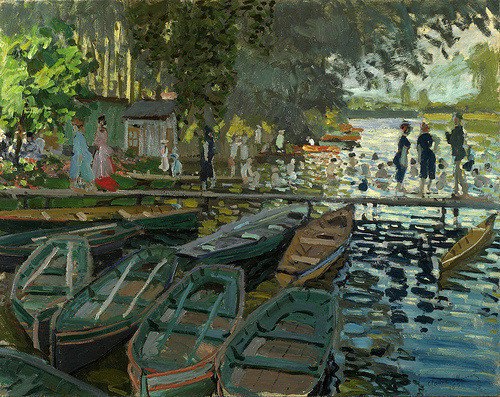 Due to Monet's continued marketing as en plein air, many critics believe such claims now to be harmful to the artist's reputation. 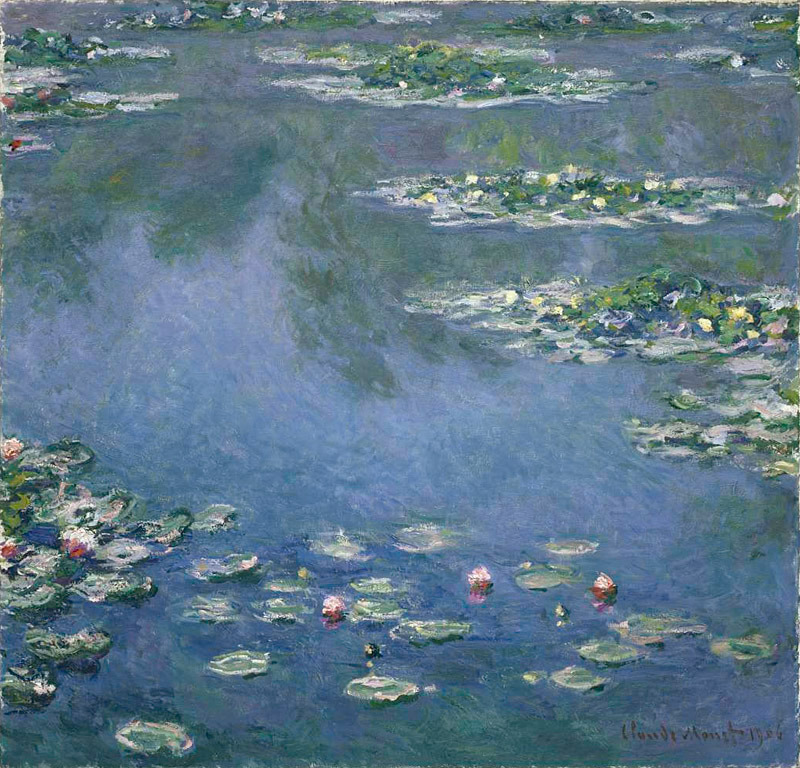 Lily Pond can today be found in the Museum of Modern Art, New York. Claude Monet was 59 years old when he painted Lily Pond. The artist completed this work as part of Grande decorations when he was at the height of his career and created it as a personal gift to country that had been so good to him. Lily Pond was one of the first major works Monet completed after his all important move to his Giverny property. He would continue to paint many more scenes from his home there. 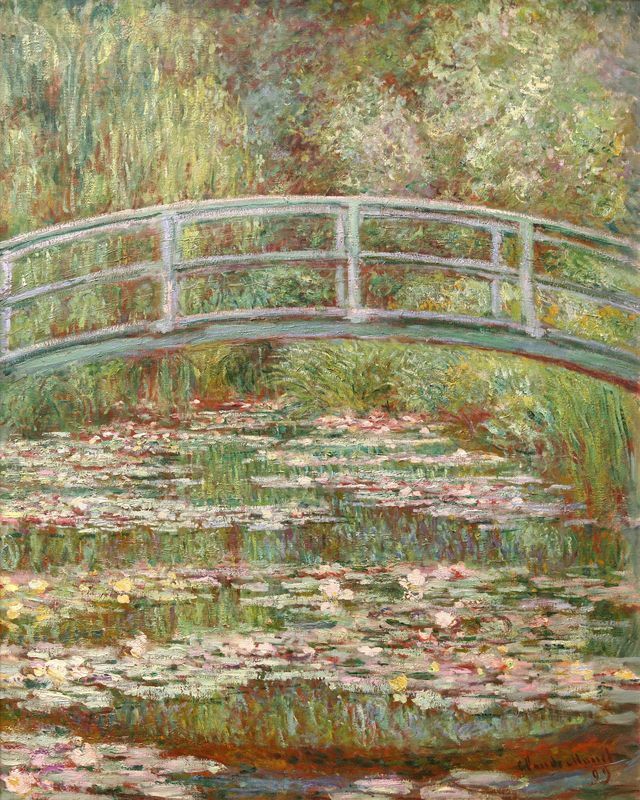 The Lily Pond was completed at a time when Impressionism was respected and revered as the prominent artistic movement. Claude Monet was the leader of this movement that focused on the visual aspect of light and how it affected objects in a natural setting.